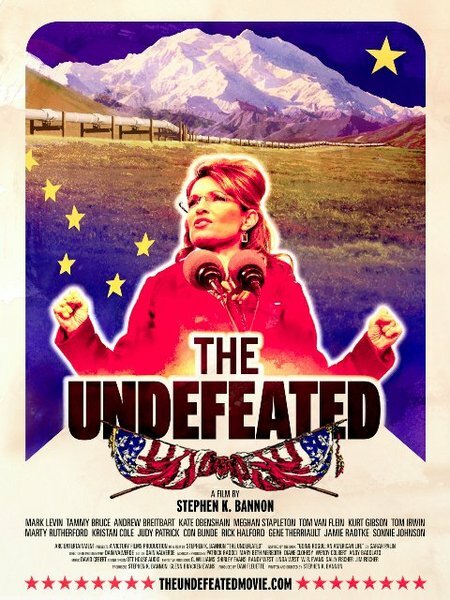 After attracting mostly Sarah Palin fans — and not many of those — during the past two weeks, Stephen K. Bannon is withdrawing The Undefeated from theatrical release and plans to release it on video on demand and pay-per-view beginning Sept. 1. It will then be released on DVD on Oct. 4, ARC Entertainment announced on Sunday. It indicated that it also has a deal with Walmart for a “Special Edition” DVD that will contain additional content available only to Walmart customers. It did not describe what sort of additional content the Walmart edition will contain. The Hollywood Reporter said today (Monday) that The Undefeated collected just $24,000 over the weekend, for a per-theater average of just $1,714.